If you want a Batmobile then maybe start by adding these Batman logo car floor mats to you car. The Batman floor mats come in a set of 4 with mats for the front and the back of your car but you can choose to only get the front or back mats too. The car mats are black and shows the famous Batman logo in yellow and black and it has smudge look to make it look like it smears out every time you get into your car. The Batman mats have a nonslip back and will make any car into a true Batmobile. 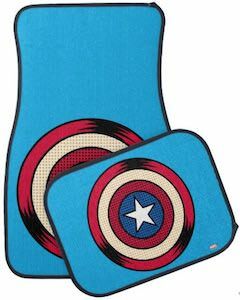 Now you can have cool mats in your car because now there are Captain America shield car floor mats. The floor mats are blue in color and have the famous shield of Captain America on it in a drawing style. You can get these Captain America floor mats as a while set with two mats for the front and two for the back but you could also just pick the front and back mats separately. 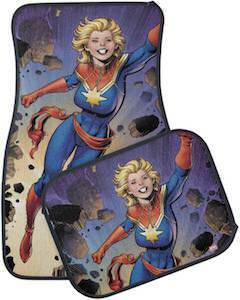 Now even the oldest car will look stunning all thanks to these superhero mats for the car. 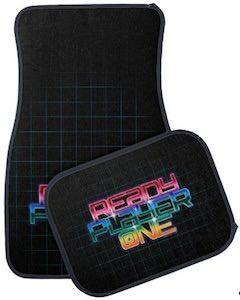 If you want to pimp your ride and bring it up to style then you need this Ready Player One car floor mat set. The set includes two front and two back mats and all are black with a grid pattern on it and the Ready Player One logo on them. And you may not ride a DeLorean like Parzival does in the movie but still your car can look amazing tanks to the Ready Player One floor mats that just make your car look amazing. And if you don’t need the 4 mats then you are in luck as you can decide to get only the front or back mats. Fans of the Black Panther movie can now have something cool for their car as this is a set of Black Panther car floor mats. The car mats will make you car into a superhero car and now you can even have a true superhero at your feet. The car floor mat comes in a set of two so that you and your passenger can stare at their feet all because of the image of the Black Panther. 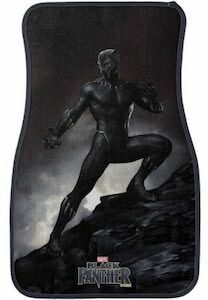 The floor mat shows a hill with on it the Black Panther in his outfit with his claws out and just like he looked like in the Marvel Black Panther movie. So if you like to make you car look better and if you like to replace those ugly mats you have now then you just should check them out. 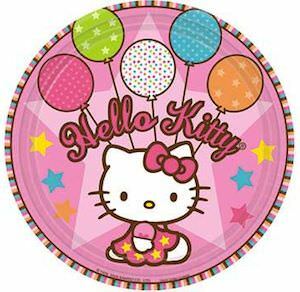 If you want to make your car a bit more Hello Kitty then a great place to start is the cars floor mats. 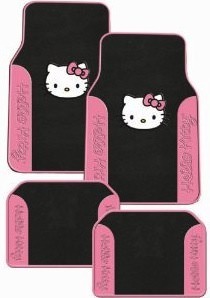 These plush mats are black with pink parts that have Hello Kitty writen on them and the front mats have a big picture of Hello Kitty’s face on it of course also with a pink bow. And there are 4 mats in this set for the front and the back passengers. Not only does it make you car look more Hello Kitty also a set of new mats really make a car look stunning. Why buy those boring manufacturers floor mats for you new car when you can have once that look better and are probably cheaper to. Now your can can have Winnie the Pooh floor mats (set of 2) witch are ready for any kind of weather, they are durable and easy to clean. 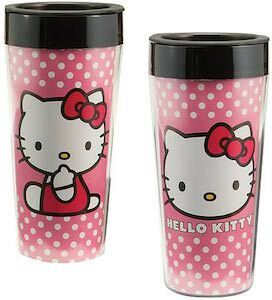 And of course they have Winnie the Pooh on it with his jar of honey and a butterfly. 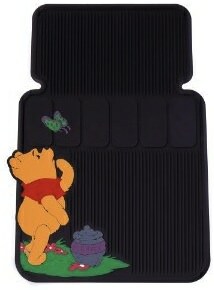 Dress up your car with these nice Winnie The Pooh Floor Mats. 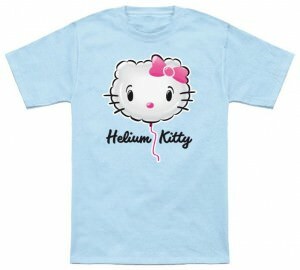 You love Tinker Bell and you know how she says “i’m no princess” well she is kinda right, she is a Disney Fairy. 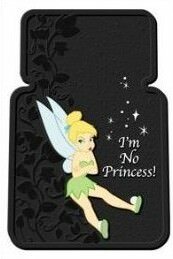 Show your love of Tinker Bell and personalize your vehicle with these Tinker Bell floor mats. Find your Tinker Bell Floor Mats.